Guillain-Barré Syndrome NCLEX questions for nursing students. Guillain-Barré Syndrome is an autoimmune neuro disease. As the nurse, it is important to know the pathophysiology of Guillain-Barré Syndrome, treatments, signs and symptoms, and the nursing interventions. Don’t forget to watch the review lecture on Guillain-Barré syndrome before taking the quiz. 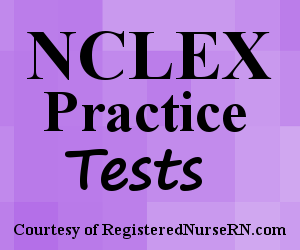 This quiz contains NCLEX practice questions for Guillain-Barré Syndrome. A. The patient reports a headache. B. The patient has a weak cough. C. The patient has absent reflexes in the lower extremities. D. The patient reports paresthesia in the upper extremities. A. "Treatments available for this syndrome do not cure the condition but helps speed up recovery time." B. "Plasmapheresis or immunoglobin therapies are treatment options available for this syndrome but are most effective when given within 4 weeks of the onset of symptoms." C. "When I start plasmapheresis treatment a machine will filter my blood to remove the antibodies from my plasma that are attacking the myelin sheath." D. "Immunoglobulin therapy is where IV immunoglobulin from a donor is given to a patient to stop the antibodies that are damaging the nerves. A. Place the patient in lateral recumbent position. B. Keep the patient flat. C. Remind the patient to refrain from eating or drinking for 4 hours. D. Encourage the patient to consume liquids regularly. 1. 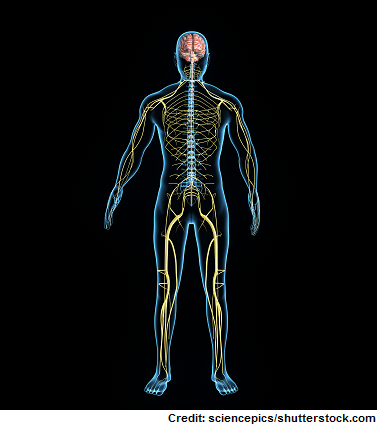 True or False: Guillain-Barré Syndrome occurs when the body’s immune system attacks the myelin sheath on the nerves in the central nervous system. FALSE: Guillain-Barré Syndrome is an autoimmune neuro condition where the immune system attacks the nerves in the PERIPHERAL NERVOUS SYSTEM and cranial nerves. This condition does NOT occur in the central nervous system (CNS). The answer is D. GBS signs and symptoms will most likely start in the lower extremities (ex: feet), be symmetrical, and will gradually spread upward (ascending) to the head. There are various forms of Guillain-Barré Syndrome. Acute inflammatory demyelinating polyradiculoneuropathy (AIDP) is the most common type in the U.S. and this is how this syndrome tends to present. The answers are: A, C, and E. Risk factors for developing Guillain-Barré Syndrome include: experiencing upper respiratory infection, GI infection (especially from Campylobacter Jejuni), Epstein-Barr infection, HIV/AIDS, vaccination (flu or swine flu) etc. 4. A 25 year-old presents to the ER with unexplained paralysis from the hips downward. The patient explains that a few days ago her feet were feeling weird and she had trouble walking and now she is unable to move her lower extremities. The patient reports suffering an illness about 2 weeks ago, but has no other health history. The physician suspects Guillain-Barré Syndrome and orders some diagnostic tests. Which finding below during your assessment requires immediate nursing action? The answer is B. The patient’s signs and symptoms in this scenario are typical with Guillain-Barré Syndrome. The syndrome tends to start in the lower extremities (with paresthesia that will progress to paralysis) and migrate upward. The respiratory system can be affected leading to respiratory failure. Therefore, the nurse should assess for any signs and symptoms that the respiratory system may be compromised (ex: weak cough, shortness of breath, dyspnea…patient says it is hard to breath etc.). The nurse should immediately report this to the MD because the patient may need mechanical ventilation. Absent reflexes is common in GBS and paresthesia can extend to the upper extremities as the syndrome progresses. A headache is not common. The answers are A and C. Some patients who experience GBS will need a feeding tube because they are no longer able to swallow safely due to paralysis of the cranial nerves that help with swallowing. GBS can lead to a decrease in gastric motility and paralytic ileus. Therefore, before starting a scheduled feeding the nurse should always assess for bowel sounds and check gastric residual. 6. You’re educating a patient about treatment options for Guillain-Barré Syndrome. Which statement by the patient requires you to re-educate the patient about treatment? D. “Immunoglobulin therapy is where IV immunoglobulin from a donor is given to a patient to stop the antibodies that are damaging the nerves. The answer is B. This statement is incorrect. Plasmapheresis and immunoglobin therapies are treatment options available for GBS, BUT they are only really effective when given within 2 weeks from the onset of symptoms (not 4 weeks). The answers are C, D, and E. These are the tests that can be ordered to help the MD determine if the patient is experiencing GBS. The answers are A, C, D, and E. All these are some signs and symptoms that can present in severe cases of GBS when the autonomic nervous system is involved. 9. You’re about to send a patient for a lumbar puncture to help rule out Guillain-Barré Syndrome. Before sending the patient you will have the patient? The answer is C. The patient will need to void and empty the bladder before going for a LP. This will help decrease the chances of the bladder becoming punctured during the procedure. The answers are B and D. The patient will need to stay flat after the procedure for a prescribed amount of time to prevent a headache, and the nurse will need to encourage the patient to drink fluids regularly to help replace the fluid lost during the lumbar puncture. 11. The patient’s lumbar puncture results are back. Which finding below correlates with Guillain-Barré Syndrome?